Braila County Council, The County Center for Preservation and Promotion of Traditional Culture (The Creation Center), The Union of Romanian Composers and Musicologists, The Romanian Radio Broadcasting Society. The 26th – 28th of May 2017 in Braila, Romania. 3 mentions of 500 € each. Incepând cu ora 18.00 puteți urmări live prima zi a Festivalului Național de Folk “Chira Chiralina”, ce va avea loc la Brăila, în perioada 17-18 noiembrie 2017. Spectacolul va fi prezentat de Maria Gheorghiu. 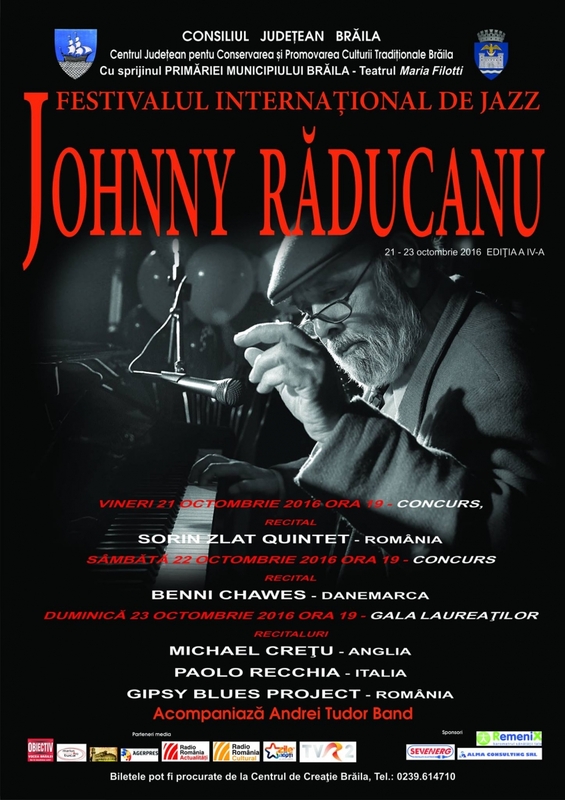 We inform you that the deadline for the registration in the International Jazz competitionJohnny Raducanu is September 23rd.